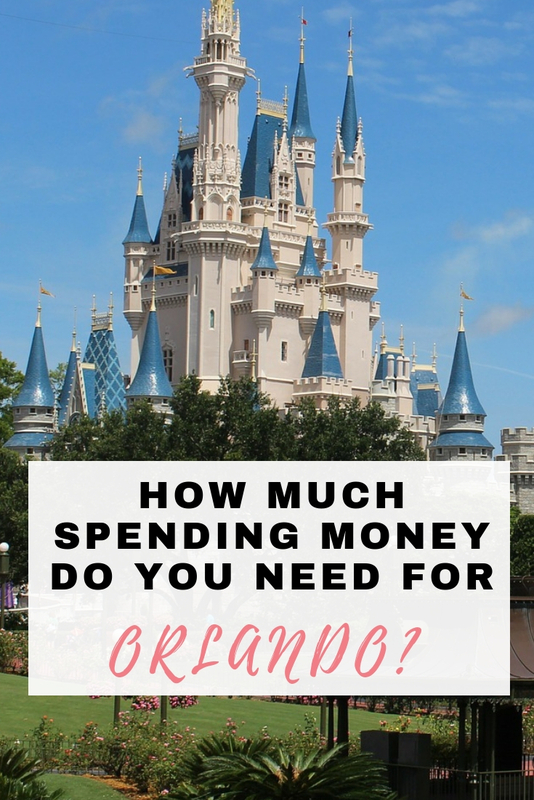 Visiting Orlando is really exciting, and knowing how much spending money for Orlando can seem like a minefield. 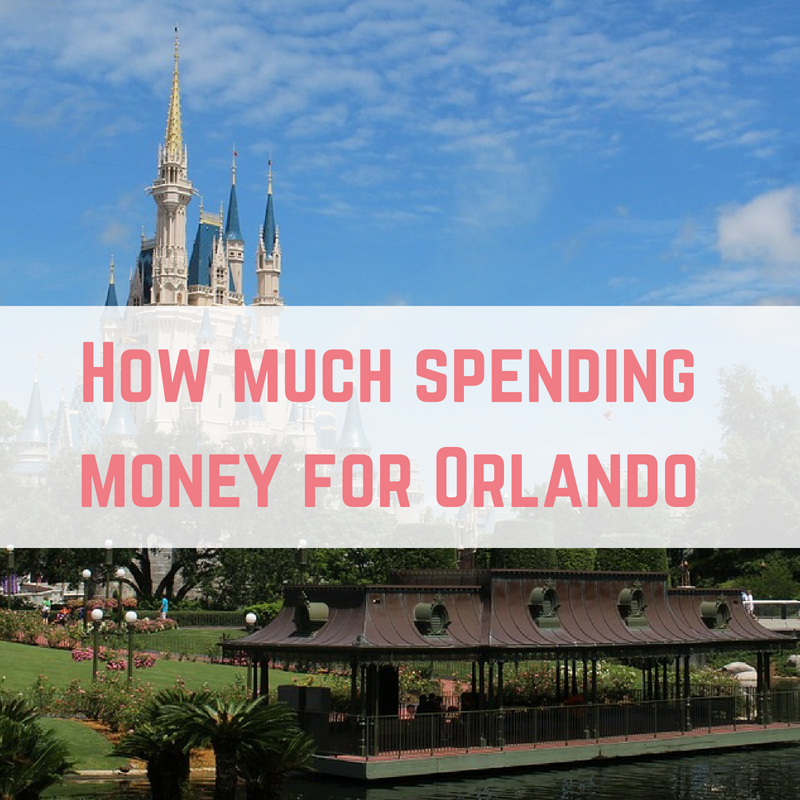 In this post I am going to let you know how much spending money you need for Orlando. We all holiday differently, meaning that there isn't a ‘one size fits all' for how much spending money you need for Orlando. 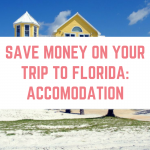 Where you are staying, how many theme parks you are visiting and how much shopping you plan to do will all determine how much spending money you need. 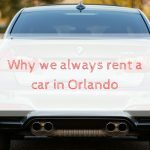 How you choose to get around Orlando will have a big impact on how much spending money for Orlando you will need. If you are staying onsite, like on Disney property, you can make use of the free Disney transport options to get you around. 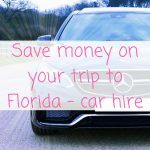 This way you will save on car hire costs as well as fuel, but you might want to take a few buses or Ubers to go shopping, etc. Renting a car is usually around £200 a week, with the added cost of fuel. Fuel is actually really cheap in Orlando (especially compared to the UK) however, the large, automatic cars use fuel a lot more. We usually spend about $30 on fuel in a week in Orlando, more if we are making a trip to Tampa or Clearwater. The price of an Uber depends on how many trips you take, and how far they are. I've seen some people spending around $200 per week on Ubers, using them every single day. There are also cheaper alternatives, such as using the Lynx bus. Estimated weekly spend: Anything from $20-$200 for your group. Let's assume that you have already purchased your Orlando theme park tickets, you can spend as little or as much as you want on spending money in the theme parks. If you aren't staying on site, and you are driving to the theme park, expect to pay around $20 per day to park. After that, you can spend as much or as little as you want! You will probably want to eat in the theme park, and buy a few souvenirs. Meals at the theme parks will be more expensive than eating off site – but you are on holiday and might not want to leave the parks just to save a bit of money. One thing you can do is to have a big breakfast, then take some snacks with you into the park. Things like cereal bars, crisps, trail mix and fruit can easily be enjoyed on the go, without spending any more money in the park. Within the parks you will also have different restaurants at different price points. A quick service counter is going to run a lot cheaper than dining with the princesses inside Cinderella's castle. Then there are the souvenirs and other add ons, like tours, dessert parties and more. You can go to a theme park with whatever budget and make it work. Once your tickets are paid for, then you can work to any budget that you have. Eating in Orlando can be done for as little or as much as you want, and as much or as little as your budget allows. 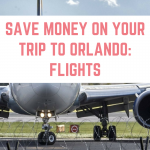 There are so many ways to save money on your food and drink in Orlando. If you are going to be eating out for 3 meals a day, then you can expect to pay around $100 per adult, and anything from $50 per child. Unless you have the Disney Dining Plan, but you will still need to pay gratuity. There are places for cheap meals out, and places that will cost a lot more than average. A great money saving tip is to fill up at a breakfast buffet in the mornings, and these generally keep you going until dinner (dinner being the evening meal in this case), with perhaps an ice cream or something to tide you over. You can also take snacks with you into the parks, and if you're very prepared, you can even pack a full on picnic to leave in a cooler box in your car. 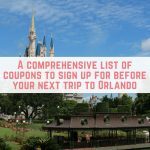 You can also sign up to restaurant's mailing lists (here is a list of all the coupons to sign up for before you go to Orlando) before your departure and they will come with money off coupons. If you have access to a kitchen, or even a fridge then you can save money by preparing meals yourself. There are some amazing cereals in America that we don't get here in the UK, so we love having cereals for breakfasts. You could even prepare all your meals if you have self catering facilities, which will make a massive saving. We tend to have a couple of ‘eating cheap' days on our trips, where we will cook in the villa. Estimated daily spend: $100 per adult per day, if dining out. This is definitely a ‘how long is a piece of string' question, and you will be able to take as much or as little as you can. I love shopping in Orlando. In fact I often don't buy things throughout the year so that I can splurge on things I love in Orlando. With loads of outlets to choose from, there is something to fit every budget. If you are going to be buying Ugg boots, Kate Spade bags and more then of course you will spend more than if you just want to get a fridge magnet for everyone. I would recommend trying to take as much spending money as you can, by working on side hustles before you go to Orlando. Estimated weekly spend: whatever you want! I am always asked how I actually take my Orlando spending money. 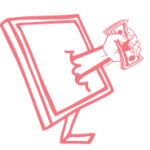 I use two methods – a prepaid currency card and some cash. The reason I take cash is that in Orlando, the FairFX card doesn't work at Target stores, and I spend a LOT in Target. I can strongly recommend the FairFX currency card. It usually costs £9.95 when you sign up, but if you sign up via this link IT IS FREE. The currency card is a prepaid card, and the rate you get is whatever it is the day you top up. So if you're going in awhile, you can check the rates daily and top up then. FairFX also offers a better rate than in store cash exchange, and you have the added protection as it is a MasterCard. The minimum top up amount is $75, and the maximum in one go is £2,500. You can check your balance online and using their mobile app, and top up straight away if you need to. As many places have wifi, if you don't have enough money on your card you can just top it up easily before making your next purchase. There is a $2 charge for withdrawing cash – I usually get anything from $200-$500 in cash (from a currency exchange) before I go away, and put the rest on the FairFX card. Spend it in stores over here – there is a 1.4% out of currency fee. If you withdraw it from an ATM there's also the $2 withdrawal fee. Pay £10 to FairFX to get the money put back into your bank. I do a combination of 1 and 2, depending on when my next visit is. Because let's be honest, it is rarely a once in a lifetime trip! The FairFX currency card is also available as a Euro currency card. How much money does an adult need for every day in Orlando? 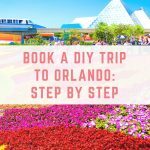 As we've established, how much money you need will depend on what you plan on doing whilst in Orlando, whether you have the Disney Dining Plan, whether you are hiring a car and more. My recommendation for an adult would be to allow at least $130 per day for spending money in Orlando. Is leasing a car good value for money? I find the prepaid Mastercard really useful – I have one from the Post Office, but did also find that it wouldn’t work for some reason at a lot of places. I loved that someone from home could either top it up at the Post Office or online for you if you ran out of money. It’s a bit risky taking a lot of cash! My favourite eating out place I’d always recommend is Sweet Tomato – the all-you-can-eat buffet costs little more than $10 depending on age/time of day, and has a huge selection of genuinely healthy, wonderful food, eg. tons of salads, pastas, soups, baked potatoes, cakes and soft serve ice cream! Three years going and I STILL haven’t gone to Sweet Tomato. I’m putting it on the list for September! If you’re visiting WDW a lot then it may be worth getting an Annual Pass for 1 person in the party as this entitles you to free parking (now $17 a day). 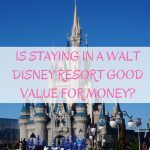 As it also gets you a merchandise discount, some restaurant discounts and a chance of discounted rooms if you want to stay on site, an Annual Pass can easily save you money – but you obviously have to number crunch it. For drinks, as there is usually a little freezer compartment in our fridge, we’ll freeze (or part freeze if not planning on being there the whole day) a bottle of water to take into the park with us. It melts slowly throughout the day and so stays nice and cold. I have been considering a pre-paid card for holiday money, but was always concerned about what to do with the money left on when I get home, But if it is only £10 to get the money off the card, that is cheaper than exchanging cash back.